On October 11, Denmark’s most acclaimed film series ‘Olsen Banden’ – 17 movies following the exploits of hapless trio Egon, Benny and Kjeld and their forever-doomed heist attempts – turned 50. Poignantly only one of the main actors was alive to enjoy the milestone, but he was too ill to take part in celebrations, taking the opportunity to confirm he had lung cancer. 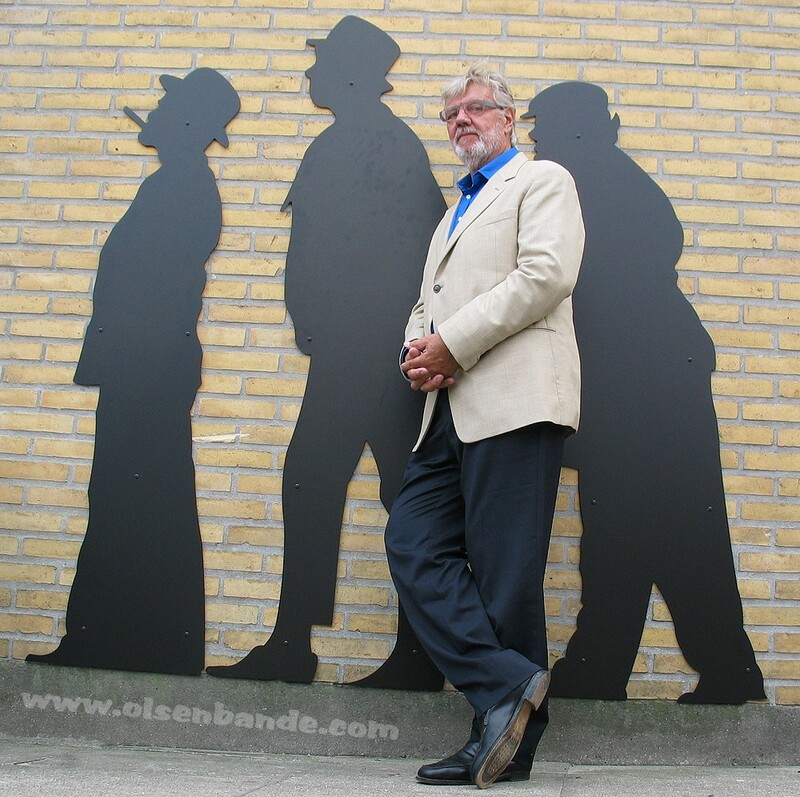 Today, it has been confirmed that Morten Grunwald, the last surviving member of the Olsen Gang, passed away after a brief stay in hospital. He was 83. Grunwald played the affable goof Benny who is best remembered for uttering the iconic line ‘Skide godt Egon’ (‘Bloody good Egon’) – usually in response to the gang leader’s latest heist plan. Aside from the Olsen Banden films, Grunwald appeared in scores of other films and theatre productions, winning a number of awards. And he was also a well-respected stage director. The Olsen Banden series spanned 17 films and still remains amongst the Danes’ favourite films. The first film was released on 11 October 1968 and the Danes immediately took to the shenanigans of leader Egon Olsen (played by Sprogøe) and his two clumsy henchmen Benny and Kjeld (Bundgaard), who somehow always managed to bungle Egon’s best-laid robbery plans. Sprogøe passed away in 2004, and Bundgaard died in 1998. Two is company and three means trouble. One troublesome trio, the Olsen Gang, have been leaving a trail of laughter and disaster behind them since the late 1960s. 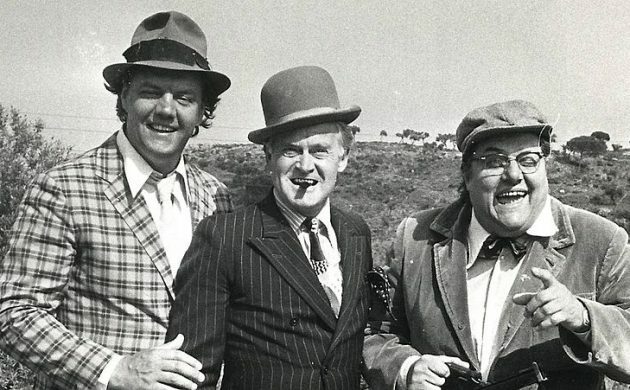 Considered Denmark’s answer to The Marx Brothers and Britain’s successful Carry On films, the Olsen Gang starred in a series of 14 heist films, made primarily between 1968 and 1981, with the last in 1998. The trio famously make bizarre mechanical contraptions to carry out their devious plans, making use on occasion of balloons, forklifttrucks, folded newspapers, cases of beer, and several Chevrolets – mostly 1959-1960 Bel Air models. Language is no barrier to the simple pleasure of seeing a plan hatched out, especially when the list of items required starts out as three balloons, a stopper and an empty bottle. Each film begins with mastermind Egon Olsen being let out of prison. Egon is a tiny man with great energy dressed in a blue suit and a grey bowler hat. He is permanently smoking the same stubby cigar and walks with purpose through each scene. The shots of him being released from the same state prison every time – Vridsløselille in Albertslund – have made the building famous. In fact, the road leading to it was renamed Egon Olsens Vej in 2004. Egon always leaves prison with a plan, giving orders to his two lackeys. Benny is the giggler, with a goofy shuffle step and brightly-coloured socks. He can also open locks and operate all kinds of machinery with the skill of a technician. Kjeld is the fat sidekick, always rushing to catch up the other two, often breaking things and getting offended. He does much of the heavy lifting, tool hauling and grunt work – none of which leads to any loss of girth. Danish scriptwriter Henning Bahs initially created a story about a group of small-time crooks who have the same daily concerns as any other group of people. Erik Balling, the man behind the popular Danish TV show ‘Matador’, and Bahs wrote the scripts together, combining their affection for creative machinery with social satire. Egon never wins because he underestimates the diabolical schemes of the white-collar criminals he is up against. He does not use real violence or steal from classes apart from the filthy and illegally rich. The role of the little-guy against corporate and government entities, especially the taxman, is celebrated by the three anti heroes, although Egon nearly always winds up in prison at the end. The films are considered family classics in Denmark, but were also so popular that Norway and Sweden each made their own versions called ‘Olsenbanden’ and ‘Jönssonligan’ respectively. In Eastern Europe, particularly East Germany, the Olsen Gang also achieved notoriety well beyond that in the West. Their popularity is explained by the films’ ability to slip past Soviet censors while still mocking authority figures. Other reports blame the poorly-dubbed versions released in West Germany, while the East Germany’s releases of ‘Die Olsenbande’ were dubbed by the company Deutsche Film AG. With car chases involving a hot-headed driving instructor, a Morris Minor laden with furniture, a Renault station wagon chopped in half and innumerable stacks of barrels tumbling down, the films are simply great visual fun. The characters use a vaudevillian-style physical humour in their schemes to steal money. They release balloons with lit strings to simulate gun shots, spill a whole cart full of apples into the street and send a loose train car of singing policemen into the Carlsberg Brewery. Regular explosions and narrow misses are part of the experience, but no one is ever truly injured. At the request of Balling, the theme music for the films was composed by Bent Fabricius-Bjerre, a Danish composer and pianist. The basic Dixieland-style melody was written in a form that could easily be adapted to all kinds of moods and instruments – even accordions and castanets. Once Egon’s plan has been outlined and the necessary equipment has been listed, the music sets the tone of the action. The police generally play the role of disinterested or misguided, social-climbing bureaucrats. They simply cannot be bothered with many cases, according to Inspector Jensen, the main police figure in the fifth Olsen Gang film. Other main characters include Kjeld’s wife Yvonne, who plans on becoming a productive part of society once they become rich. She makes endless plans for their future lives as good citizens, as well as the honest career of their son, Børge. He enters the films as a ten-year-old and gradually begins helping the Olsen Gang, though Yvonne disapproves in her piercing, high-pitched tone of voice. More recently, the Olsen Gang have returned as entertainment for a younger audience – firstly as a television show about the childhood of the Olsen Gang and in a 2001 film called Olsenbande Junior. 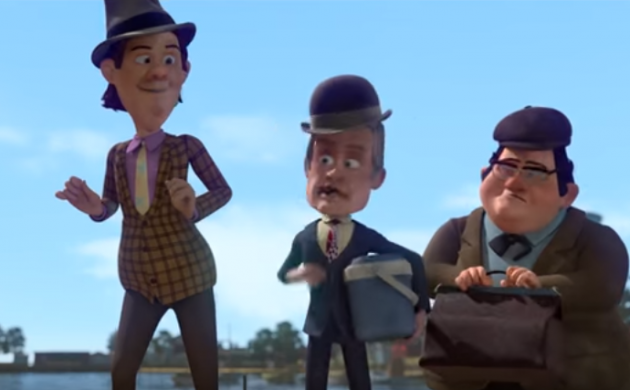 In 2007, Nordisk Film produced a 3D-animation film of the Olsen Gang, entitled, ‘The Olsen Gang on the Polished Floor'. After its positive reception in theatres, it was released on DVD in Danish and Russian, and a German version. In 2013, a new 3D-animation funded by the Danish Film Institute – ‘The Olsen Gang in Deep Water’ – is expected to have its premiere.